Here is a place where we can post our photos. Hi, I'm Cathy. Where is this taken? Lovely that you are smiling! Any special reason? Could it be that Papa might be speaking through the teddies? They give you comfort, and He can use anything to reach us! Just a thought. 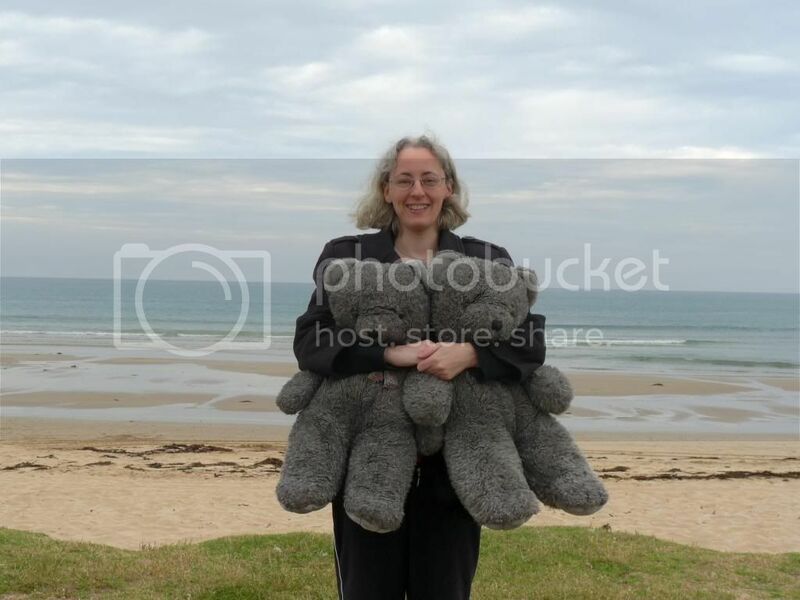 This was taken at Lorne Beach in Victoria in 2013. I don't remember the occasion specifically but I always try to smile in photos. I love the beach and I love teddy bears, so it's a good combination. I also love taking photos, although obviously I didn't take this one. I'm not sure what that's a picture of or why you put the link there. Can you see it? It is one of my "babies". Isn't this the photography thread? What do you mean one of your babies? Is it art work? Sorry if I've discouraged you, Mike. For me it was only a link rather than a picture that shows up on this thread. Sometimes pictures without an explanation can be confusing but other times they are self-explanatory. I have been looking through my photos at Photobucket. 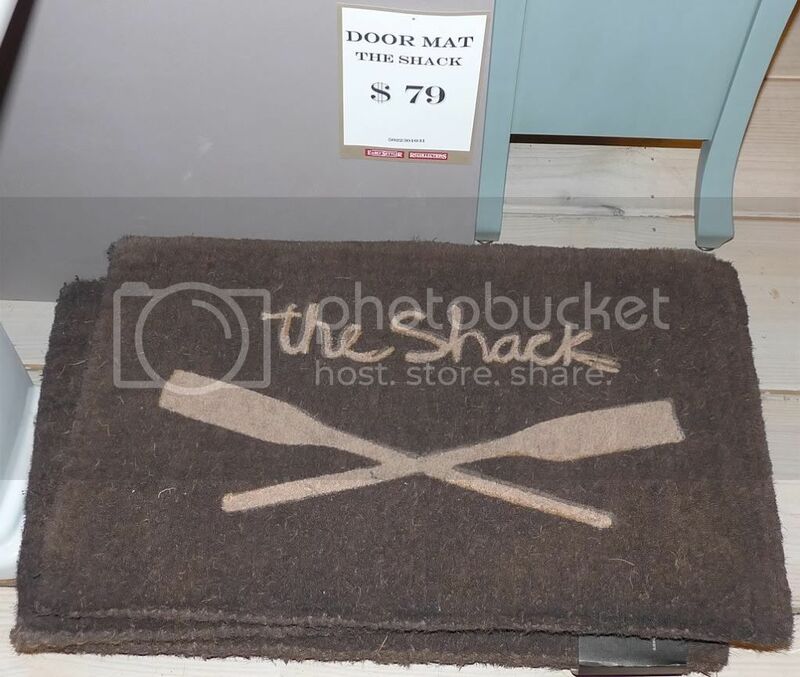 I thought people might appreciate this photo I took of a door mat in a shop in 2011. I don't like being in front of the camera, but sometimes I make the sacrifice. This was taken on the way back to Punta Cana from Isla Saona. The "doo rag" was purchased aboard the boat, to offer some head protection against the sun. You can see behind me folks in waist height water. This is on a sandbar that covers a large area, where starfish can be found. If we look hard enough, we can find Papa just about everywhere. For me, it's easy to do in nature!